My wife and I will be traveling to Quebec for the first time in May 2019. We have a general idea of some things we’d like to do (e.g. cycling, breweries, hiking) but we are also looking for some other hidden gems that are commonly known or discussed on The Thrillist or other such online forums. The city’s first jail is now a museum about the history of the English-speaking population of the region. 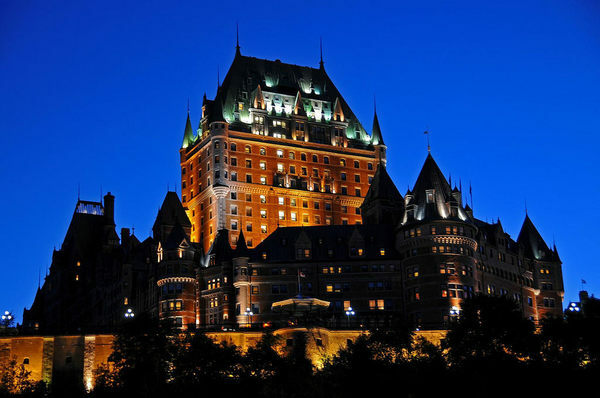 Discover 6 hidden attractions, cool sights, and unusual things to do in Québec City, Québec from Château Frontenac to Musee du Fort. There’s plenty to do in the Quebec City region. You can explore Old Quebec to enjoy its European charm, or take a short drive towards the mountains for a great hike. We’re fortunate in that we’ve got a huge outdoor playground to explore. If you’re into skiing or snowboarding, I recommend Le Massif de Charlevoix, Mont-Sainte-Anne, or Stoneham. You could also spend a day sliding at the largest outdoor winter park: Village Vacances Valcartier. That’s also where the Ice Hotel is located, which is pretty impressive to see. If you’re looking for a good winter hike, definitely check out the Jacques-Cartier National Park. Not only can you hike, but you can also snowshoe, splitboard, Nordic ski, and more. Lastly, you could also go Ice Climbing on the Montmorency Waterfalls (Chutes Montmorency) if you’re up to it. Great views, and a great workout. Hope this helps and hope you enjoy our Belle Province! Thanks for the awesome recommendations, @From_the_Backwoods! Make sure to hit the bar at the Chateau Frontenac the view is fantastic and they have a good selection of local beers. Be sure to wander through the old town. I’m heading to QC for the weekend and this thread was super helpful! I would also love any suggestions for good things to EAT or any cool art to see. Merci beaucoup! Parc National du Bic is really beautiful, not sure how far you want to travel from Quebec City, but all along the Saint Lawrence is really nice. If you’re in Québec City, you’re not far from Charlevoix. It’s the next tourist region further downstream, on the north shore of the St-Lawrence, so basically northeast of the city. The drive along the river is stunning, with tremendous views of the river to the right and ancient rolling mountains to the left. You’ll drive through Sainte-Anne-de-Beaupré, which has a famous shrine and massive basilica which is very easy to visit. A few minutes after that is Canyon St-Anne, which not a lot of people know about, but there are short and easy hiking trails that take you along the river and looking out over waterfalls. Also a zipline and via ferrata there if you’re interested in that. It’s worth doing the loop though from Baie-Saint-Paul to La Malbaie. Both towns are known for their artisans and crafts. A few pottery shops along Rte. 138. La Malbaie is known for the Manoir Richelieu hotel, which hosted the G8 conference last summer. And if you really want to get off the main path, descend the steep hill at Les Éboulements and take the short ferry to Isle-aux-Coudres. You can easily bike around the island, do some beachcombing, camp overnight and feel like you’re right out in the middle of the Saint-Lawrence River, with tremendous views all around. Well worth the detour. All this is within a couple hours or so of Québec, so you could do the first bit as a day trip or stay overnight somewhere and do the whole thing. Lots of more intense hiking options are around too, and camping. May is a nice time to travel, not too busy and better weather (usually).